The fringe benefits for joining the walking dead are actually quite nice. Your dexterity and mental acuity both suffer, but you get really cool hair. If you want zombie hair, though, it is easier to wear the Creepy Zombie Wig. Donning a wig for cool hair is probably a better choice when compared to submitting yourself to voluntary zombification. This eerie wig does indeed give you creepy, zombified hair, featuring long stands of synthetic hair in shades of greenish blue, black, and white to create a faded, dead look. The inside of the wig is netted for comfort. Any makeup or clothing pictured is not included. 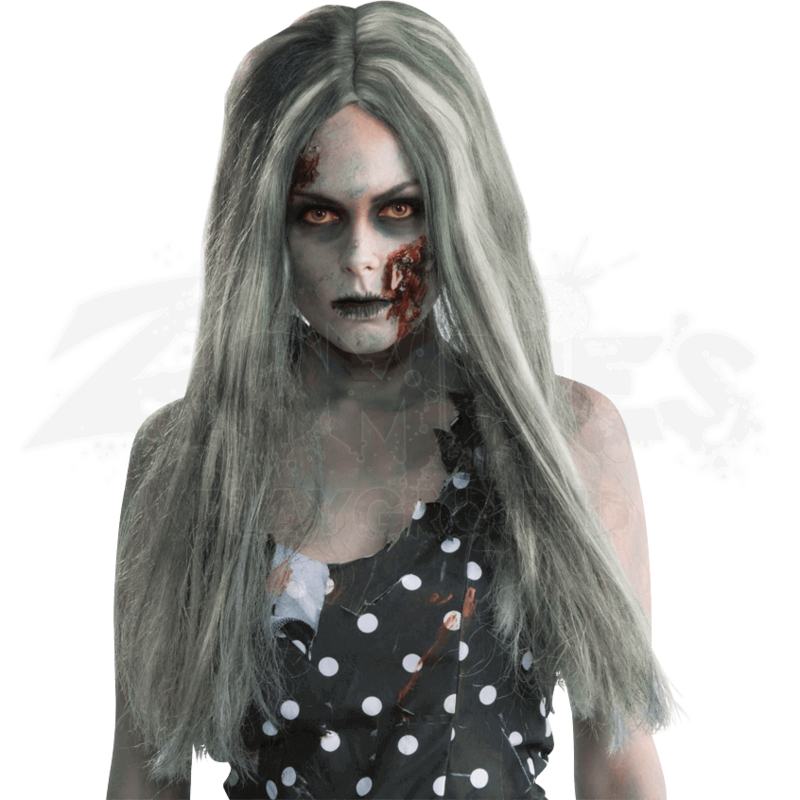 Zombies rarely have heads of full, vibrant hair, so having the right hair can certainly improve the look of your zombie costume. Add the Creepy Zombie Wig to your look to give it that long-dead look that will have all eyes on you.